Hey, Larry. Wanna compare horses in Pocket Card Jockey? I've been playing ALL NIGHT. Wondering what happened to those Deadly Six creeps? 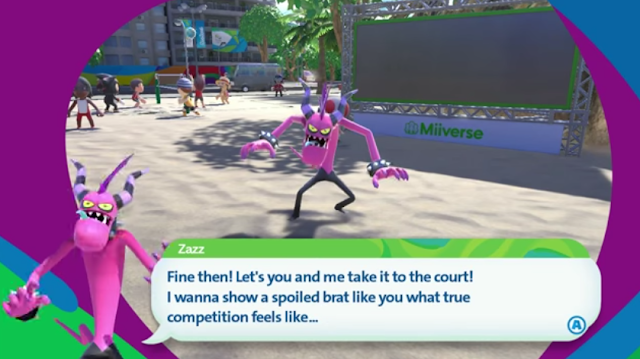 Or at least, the two we encountered back in Rio, Zazz and Zavok? They're back too. I don't know why. Anyway, Zazz and Zavok are the ones responsible for obliterating Rio de Janeiro International Airport Galeão. Or whatever the hell it's called. Hopefully if it gets rebuilt, they actually make it clear what that place's name is. But, as a result of that, after we left, Rio de Janeiro has now declared a “financial disaster”, apparently their version of a bankruptcy. They're still hosting the Olympics, of course, but they don't have the money to do it. Zika is still there. And now Brazil's socialist president, Dilma Rousseff, has been impeached, and now her vice president, Michel Temer, is temporarily in power of Brazil. He'll be in charge during the Olympics. Brazil is in serious trouble. 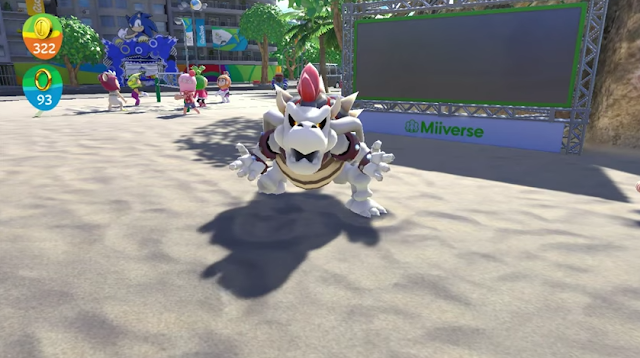 So, why has part of Team Koopa returned? Well, let's just say that we might not be there to win. We might be there to be like John Kasich just to try to prevent other teams from winning outright, or we might be there to take advantage of the political turmoil like we've done in other parts of Earth. You all can figure it out. Rio de Janeiro is going to be full of walking skeletons at this rate. If we do annex Rio de Janeiro or the entire Brazil, though, I'm not the Koopa that'll be in charge. I've exited Brazil forever. Terrible country. But, uh, you know what other place starting with BR needs to be involved with an exit? Anyway, it's very much a hot-button issue in the United Kingdom right now. And my endorsement for our group of UK readers? Get out. By the way. 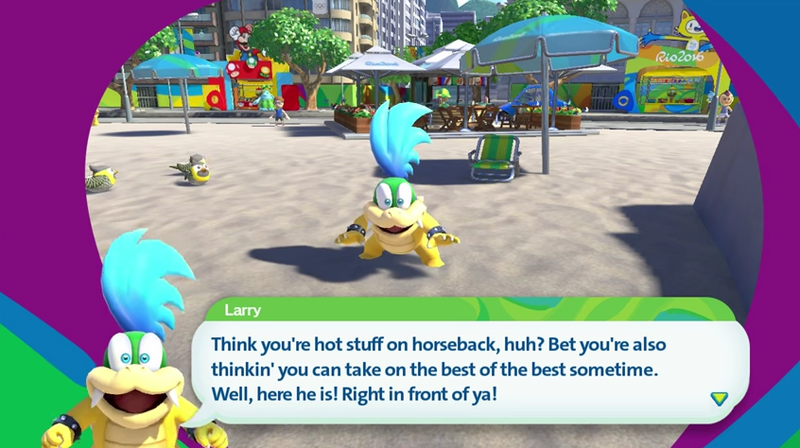 In case you're wondering: Mario & Sonic at the Rio 2016 Olympic Games for Wii U is terrible. Don't get it. All screenshots used in this article from Mario & Sonic at the Rio 2016 Olympic Games are from this BeardBear video. Thanks for the footage! Ludwig wants to stay out of Brazil, and he wants Britain to stay out of the European Union. Ludwig originally outlined Team Koopa's positions here back for Mario & Sonic at the Rio 2016 Olympic Games for 3DS. And now, time for Vortexica to write about the REAL Brexit and his feelings about it. The rest of Team Koopa dissolves the night before the Olympics begin, officially ending Team Koopa. At least you managed to escape alive. I would hate to be stuck there with a terrible virus in that state of economy. Hopefully, the 2020 Olympics will fare much better for you. According to so-called health experts, the mosquitoes will be inactive/gone during August because it'll be winter in Brazil there. Therefore, it'll be safe. I'm not fully buying it. Hopefully we even get to go to Japan.